Every successful product is born from years of development, a long-term approach and, most importantly, a vision. In our case it’s the effect of medical compression, which is also beneficial for athletes. But how can you utilize this technology in a sports product? 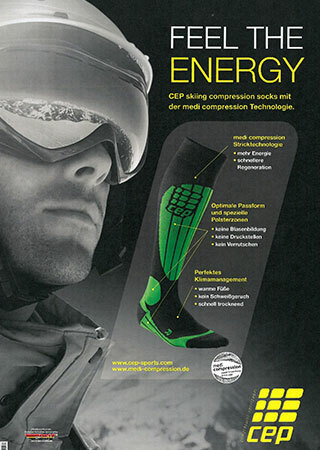 CEP’s success is rooted in its parent company medi, which has been producing high-quality medical compression products at its location in Bayreuth, Germany since 1951. The first step was to tinker around a bit. It took nine months to set the medical-grade knitting machines so that they could meet all the demands for production. The trick was to incorporate a padded foot section like in a sports sock yet still retain the precisely defined compression profile of a medical stocking. Athletes then thoroughly tested the products. The first sock with the CEP logo leaves production. The rhombus design becomes the iconic emblem. 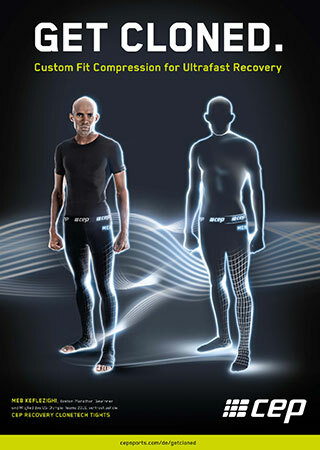 The Running Compression Shorts are launched as the first ones of their kind. 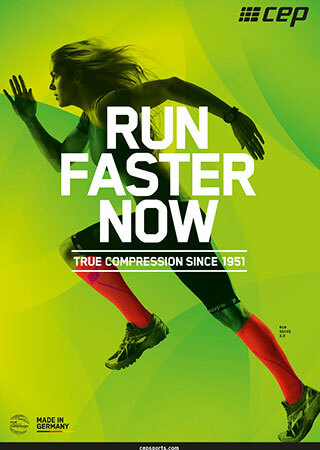 The “Progressive Line” is introduced as a new design element and still adorns CEP socks to this day. We made the first product. Now how do we get them to consumers? We had never dealt with sporting goods retailers before and we had to establish a sales network from the ground up. 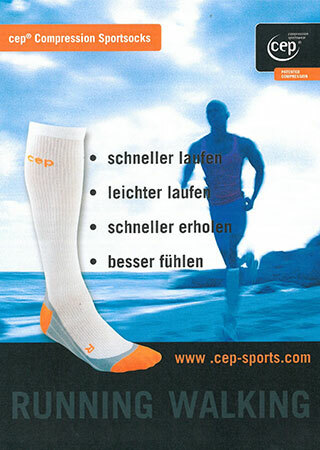 At the ISPO 2007, CEP unveiled its “range” to industry experts – it consisted of one Run sock and one Ski sock. For many, the legwear was still very odd. Retailers were skeptical: “I’ll pay €50 for shoes, but not a pair of socks.” Sales staff had to listen to things like “I think I can make it without support stockings”. The CEP sock family grows: The Short Socks are introduced. The first sports supports hit the German market. 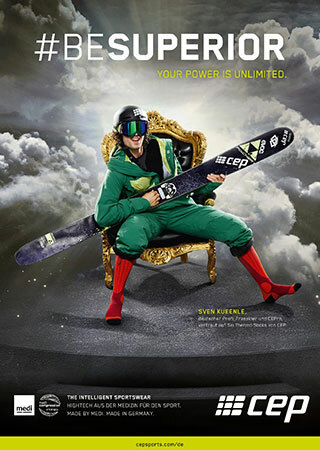 The Recovery Clonetech Tights are launched – the world’s first custom-tailored tights for recovery. 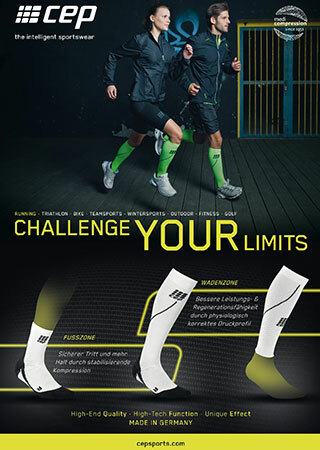 Compression running socks are available in gold and silver to celebrate the 10th anniversary. The breakthrough came with the help of Timo Bracht. 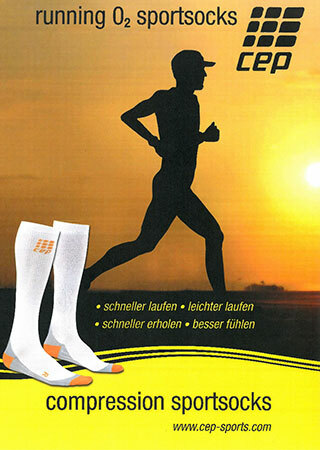 The triathlete set a new record at the Frankfurt Ironman 2007 while wearing his white CEP knee socks. 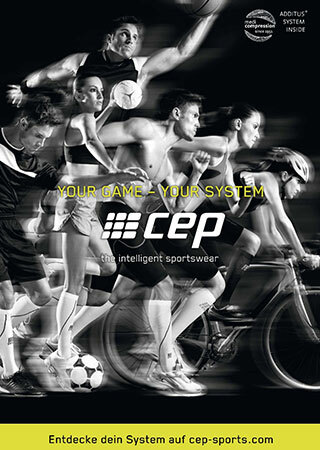 The next day CEP was sold out in many stores. Sales at marathon and triathlon events were another key to success. CEP showed its true colors here, where the running scene meets. And, look at that, there was more going on at the CEP booth than anywhere else. It has been a long road to earning recognition as a high-tech sports product. Since the very beginning, the passion to think in new ways and the will to tap one’s full potential have been the main ingredients. We look forward to writing new chapters – and can’t wait to see what the next 10 years will bring. Ready. CEP. Go! !